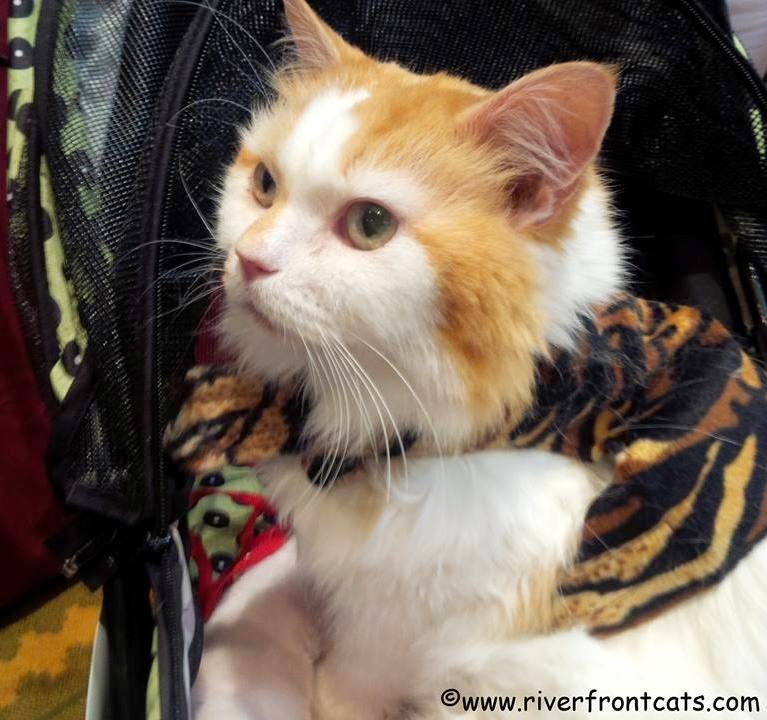 Review of #BlogPaws 2014 ~ Pawsitively Humane, Inc. 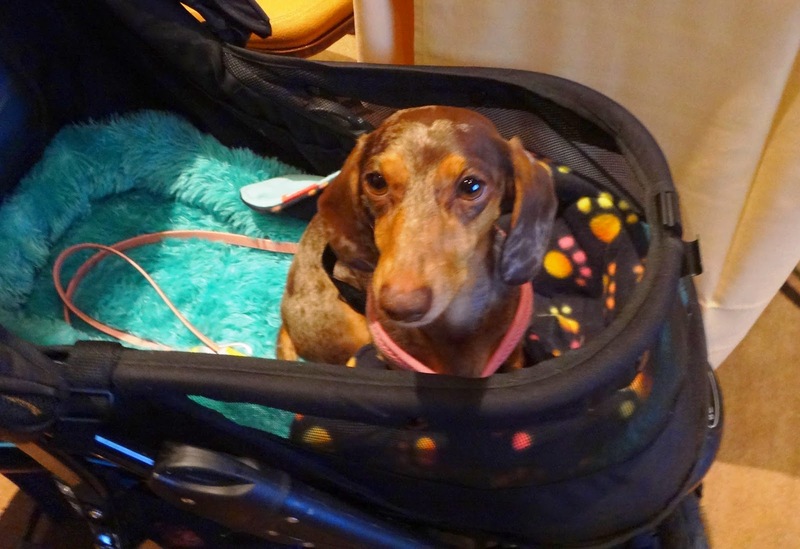 When you're a pet blogger and work with animals, the favorite days are not so much holidays. For us it's pet conferences--to learn, advance our work and celebrate our victories and spend time with our favorite online pets and people! 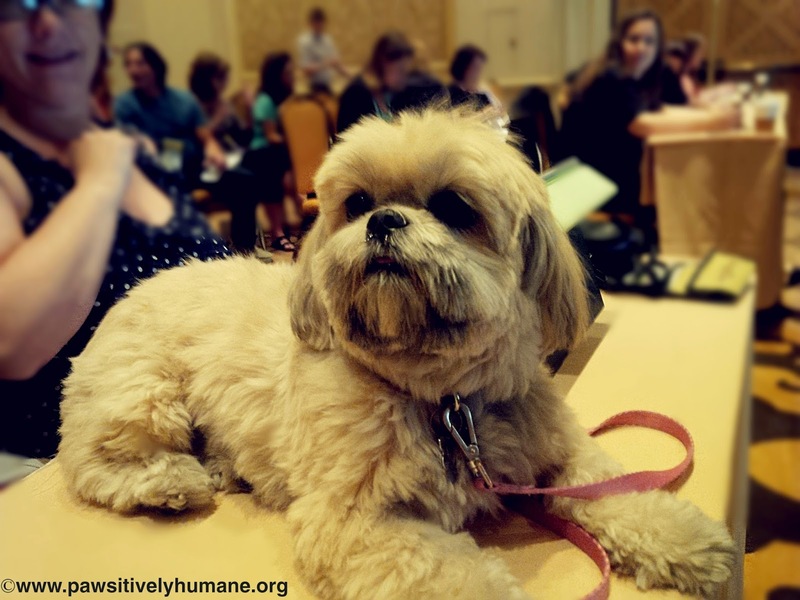 This was my third year in attendance at #BlogPaws (a veteran!) and I was honored to attend as a nominee for two social media awards, Best Cause and Best Video for the work I do to rescue, care for, write, blog and educate about cats, especially feral, stray and black cats. 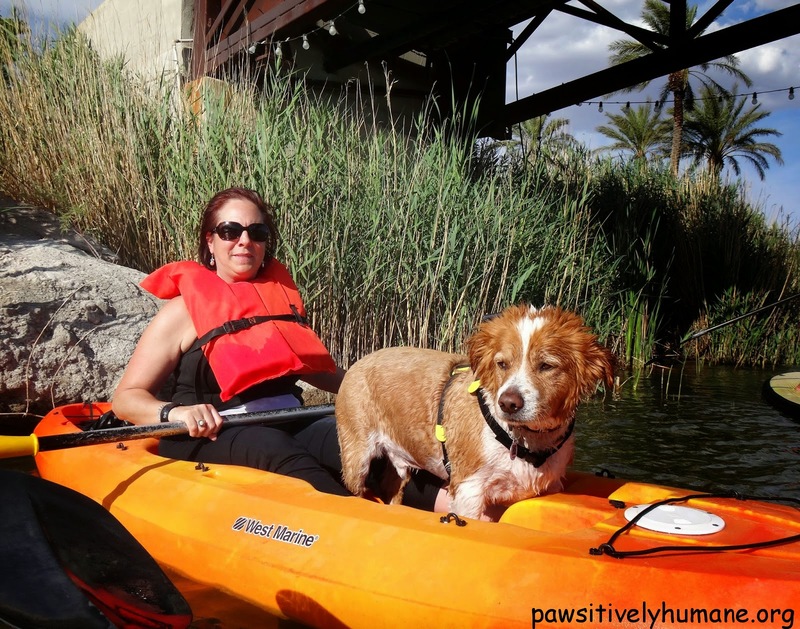 This review, however, will share overall highlights including blogger achievements and other types of pets that attend BlogPaws from dogs, blind dogs, dogs on paddleboards, birds, and a capybara! What is a capybara? Read on! On the first official day of the conference I was greeted by these two gorgeous and well -behaved dogs (all the pets are well trained and behaved) Kaylee and Fiona. Soon I discovered their owner is none other than Susan Daffron. Susan is the author of an e-book Publicity to the Rescue which covers ideas and low cost, simple solutions to help animal shelters raise awareness, increase donations and publicity and boost adoptions. I was interviewed for this effort a couple of years ago and honored to finally meet her in person! Kaylee and Fiona greet me on first day of conference. This was just the beginning of three days of constant licks from many dogs-pet dogs! 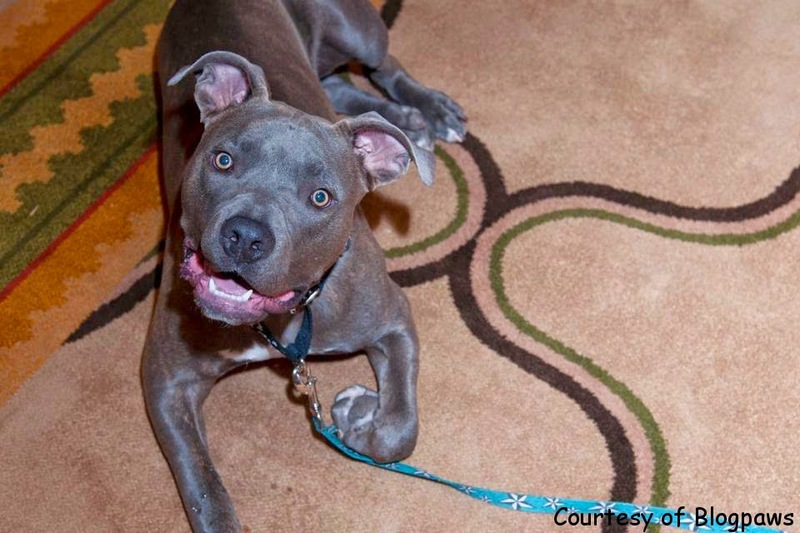 Pets are welcome everywhere in the hotel from the dining area to the conference sessions. Lexi sits quietly on conference table during the sessions. 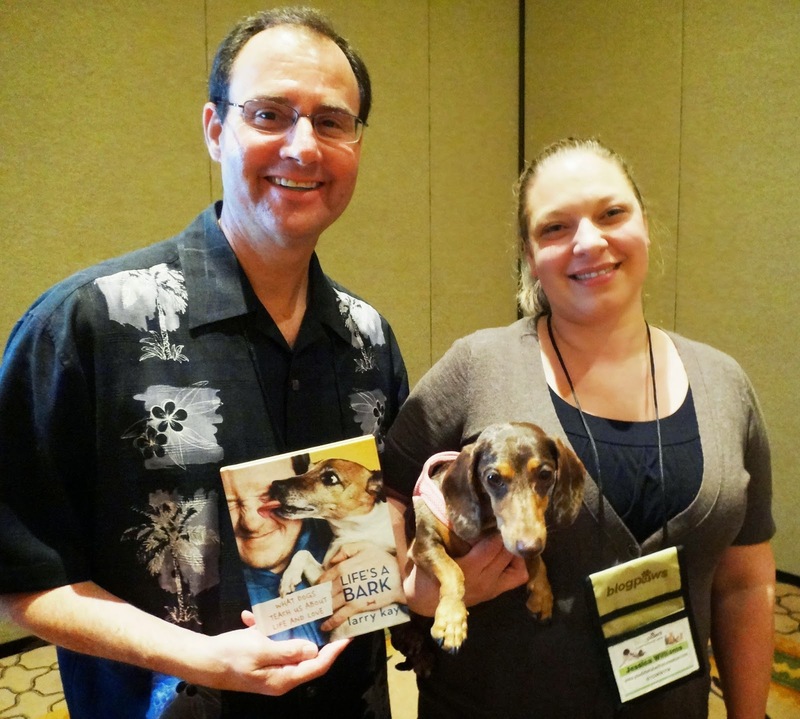 BlogPaws is a great conference for new bloggers that are just starting and want to learn all aspects of social media to gain traffic, how to self-publish a book or e-book, and even earn a supplemental income. 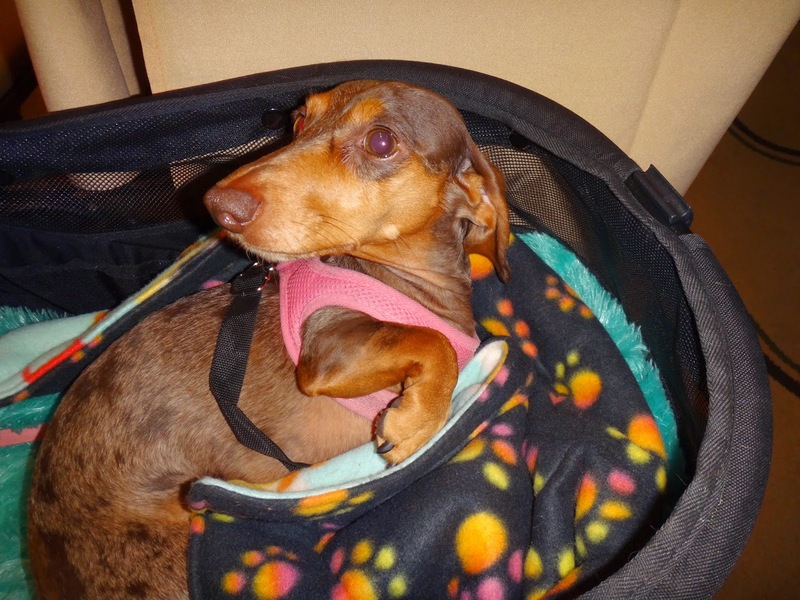 Gretel attended the same session and was quieter than a mouse. Larry Kay, pictured above, is a success story. The author of "Life's a Bark" book, he also has 600,000 Facebook followers for his blog www.positivelywoof.com. Jessica Rae is the Chief Blogger/Influencer for the blog You Did What with Your Weiner. Love the name! Great marketing minds--follow them! 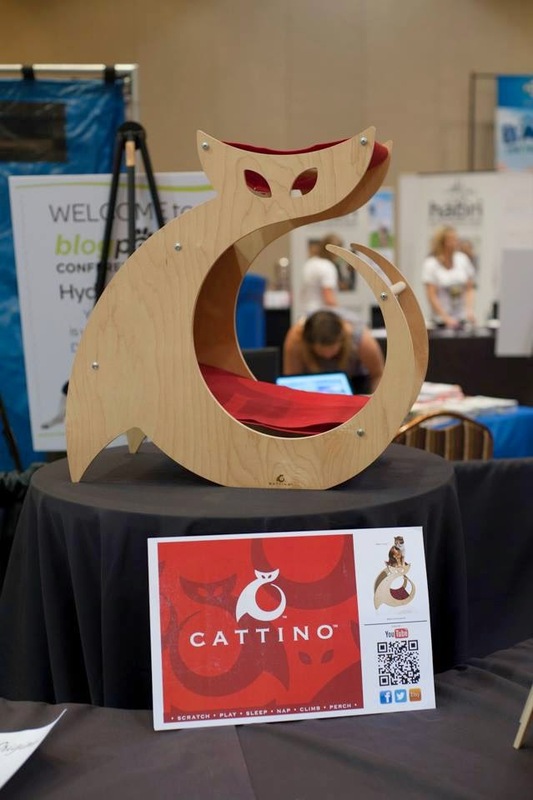 #BlogPaws would not be complete without the popular and eyecatching Catification Lounge directed by Kate Benjamin. The newest trends in cat furniture and accessories that are modern, functional and attractive. All the products are raffled off to attendees. 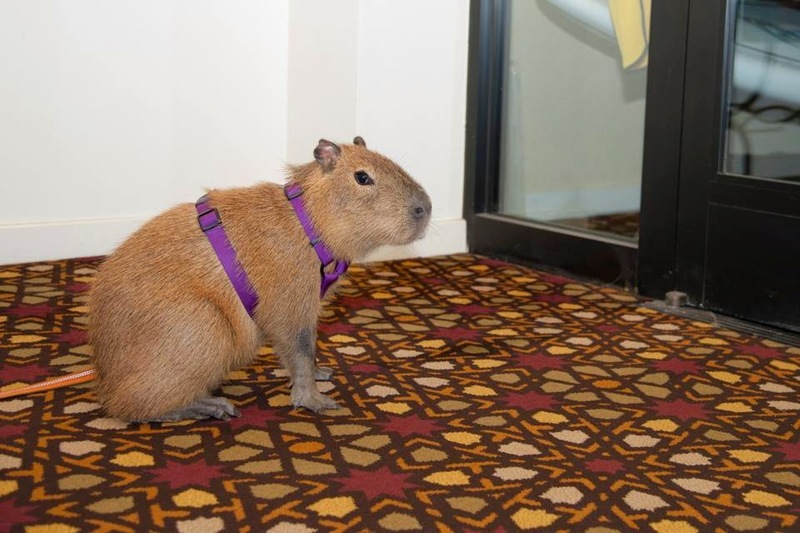 One of many highlights was the participation of a capybara (pronounced "capa-bara") --looks like a giant guinea pig! She's only three months old and will grow to three times her current size! The venue was the Westin Lake Vegas, 30 minutes outside the strip, ideally located on a lake near Hoover Dam. When I learned the hotel offered paddle boarding and boating, I skipped the last afternoon session and rented one of the boats for a quick escape with mother nature. 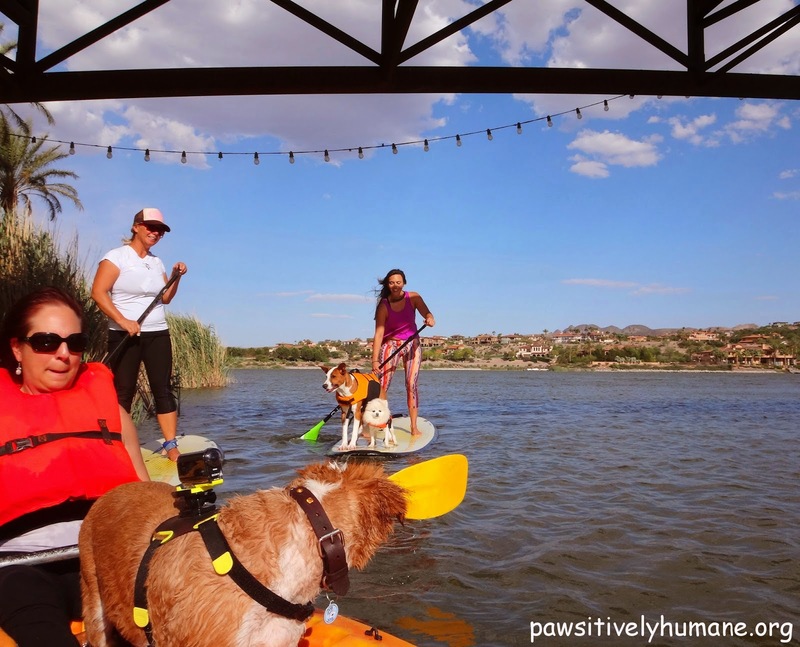 As I turned the corner, low and behold--there were two dogs perfectly balanced and accustomed to the paddle board! This day just gets better. 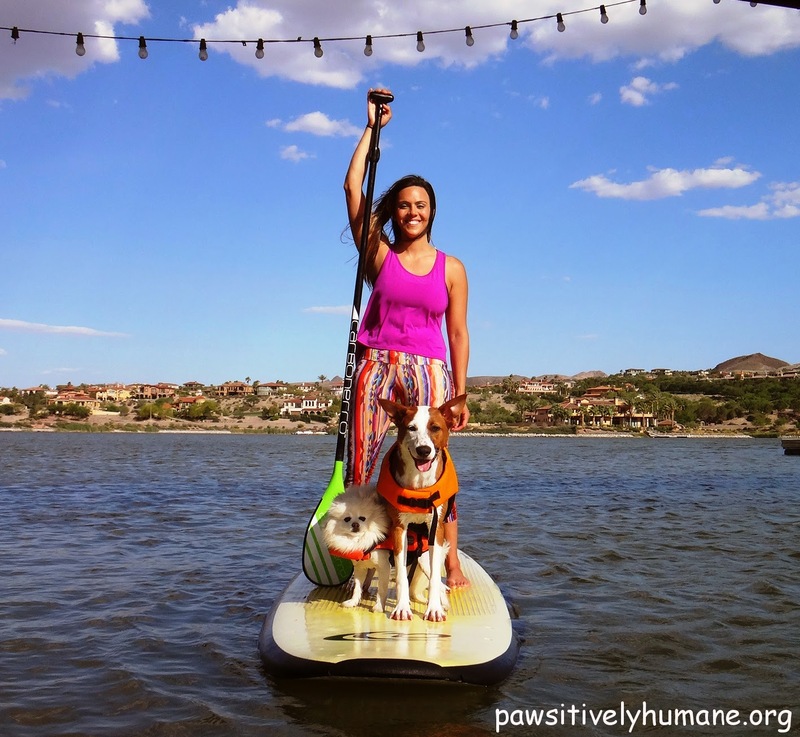 These dogs are from California and are expert board surfers. Later that evening was the dinner and awards ceremony recognizing bloggers in a number of catergories from Best Cat blog, to Best Humor Blog to Best Blog Design... you get the picture.A number of our friends were nominated including our sister effort Riverfront Cats. 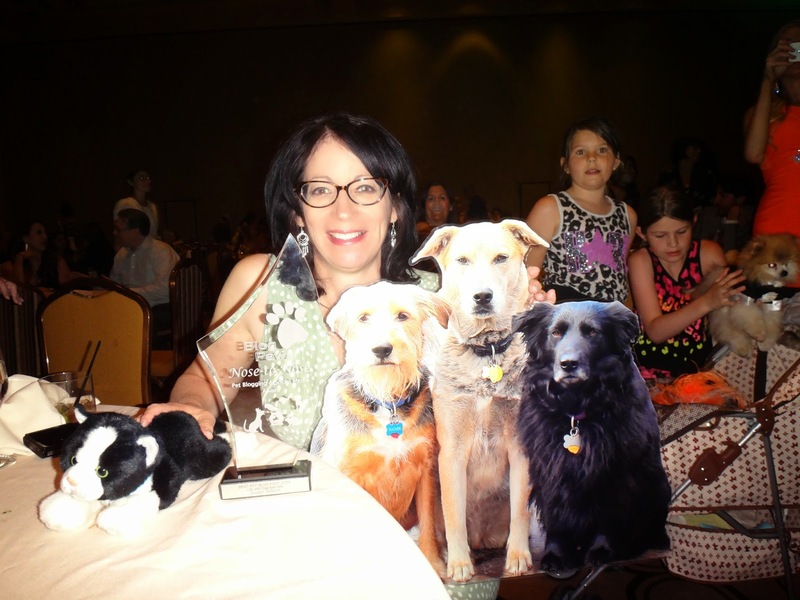 Below is Susan Willett, blogger of Life with Dogs and Cats and the winner of the Best Blog Post. Congrats Susan! While few bloggers earn a substantial income, it's mostly a labor of love to enlighten the public about responsible pet care, to entertain you with hilarious pet antics to put a smile on your face and make your day a littler brighter, and/or to unleash their creative writing skills. These bloggers have consistently posted for over a year and have a steady following of fans across social media. When following a blog, please leave a comment. Bloggers take significant time to think, plan, write, edit, take photos, edit photos, upload photos, interview people, etc. Your comments show support for their hard work and efforts. 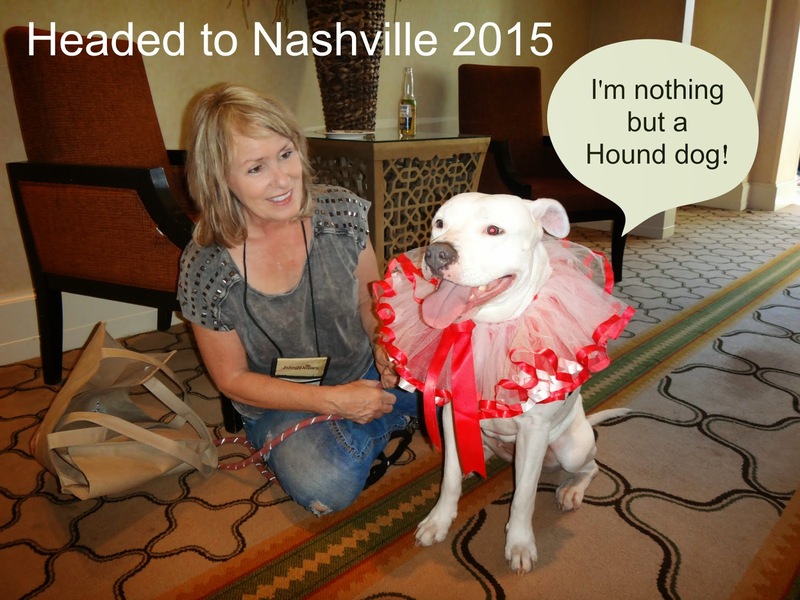 So where will next year's BlogPaws take place? We can only imagine all the Elvis impersonators and hit songs we'll hear before, during, after. Can't beat them? Join in! Thank you for visiting and supporting Pawsitively Humane! 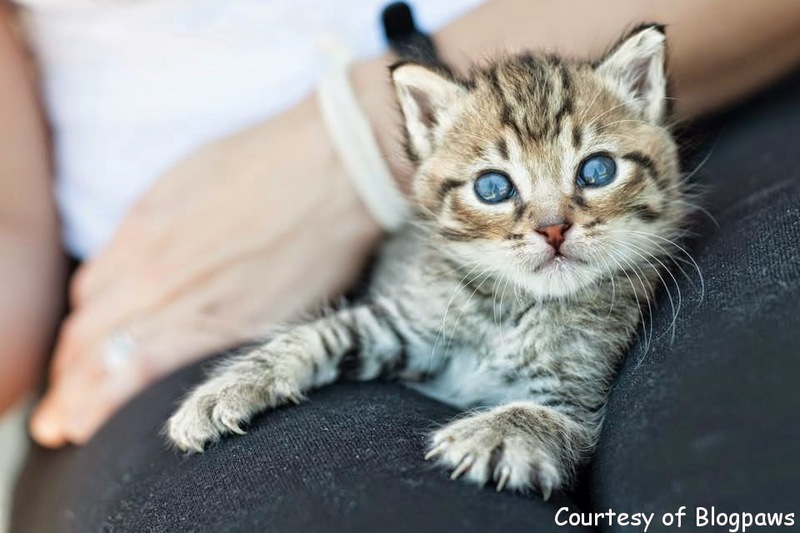 Here's to reversing the rate of homeless pets.